Unfortunately, it sometimes takes a tragic event to remind the world who the real heroes are. The Force remembers every day that police officers, firefighters and rescue workers are the real icons. 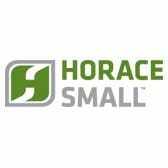 And Horace Small HS1224 Men's Horace Small Dark Navy Deputy Deluxe ... (see full details) (see specifications) #FORHS1224. Unfortunately, it sometimes takes a tragic event to remind the world who the real heroes are. The Force remembers every day that police officers, firefighters and rescue workers are the real icons. And Horace Small HS1224 Men's Horace Small Dark Navy Deputy Deluxe Short Sleeve Uniform Shirt honors them with smart style and durable comfort. A blend of polyester (65%) and rayon (35%) come together to create this short sleeve, collared button-up. Polyester resists wrinkles, dries quickly and remains tough under pressure (like the world's rescue workers). Rayon was originally known as artificial silk because of its smooth texture. Real silk isn't tough enough for a working man's shirt, but durable rayon washes well and stands up to wear and tear. This shirt may be dry-cleaned or hand-washed at home. Designed to be worn with body armor, this shirt is long enough so it may be tucked in easily for a neat look. Permanent silicone creases keep the front looking sharp, so you continue to look professional. Break-resistant melamine (tough plastic) buttons go all the way up to the collar. Sateen, a woven cotton fabric, lines the interior of the shirt. Sateen is named for its smooth, silk-like feel, which keeps skin comfortable. A back yoke adds to the comfortable fit, giving you more moving room. The center-front placket has a badge tab, with reinforced sling and eyelets, so you can keep your shield in its proper place. The pleated pockets have scalloped flaps and hook and loop closures that keep your items secure. This HS1224 Men's Horace Small Dark Navy Deputy Deluxe Short Sleeve Uniform Shirt is made to be worn by everyday heroes, and its fine construction proves that. Horace Small Shirts: Mens Navy Deputy Uniform Shirt HS1224 is being added to your cart.